so like... terrakion, forretress, latios, keldeo, politoed, and thundurus-t :] since i got 10 badges i added in scizor. Congratz you obtained the sky badge! I don't battle for winning, I Battle for fun! I aint gonna dress this up all nice. You came, you saw, you conquered. You have beaten me. You earned the life badge. Congratulations, you won the Igneous Badge. You have won the Sandhog badge, it isn't bacon so don't eat it. You have successfully won the Fortis badge, well done, have good fortune on the rest of his journey. 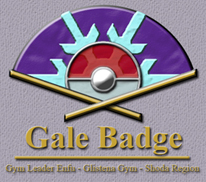 It looks like you took on one of the harder gyms to secure yet another badge. Congratulations! You've beaten the Water E4. You've conquered the Tides of Power with an Excellent Victory! You may not have won this time but you can challenge again tommorow so you current record against the elite 4 is 1-1.It was a very fun battle overall. 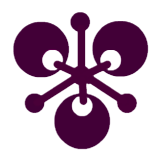 As your prize for beating the Biohazard Gym, here is the Cyanide Badge. Sorry this is really late I got caught up in quite a few things anyways you beat the flying elite 4 congrats so now your record is 2 wins 1 loss for this run.